Ever wonder how to fix a compact disc (CD) without using commercial CD repair kit or CD refinishing machine? here are some methods that you can do on your own at your home. while washing apply some detergent or liquid soap or soap water and remember wipe the CD from center to straight towards the periphery radially.This will prevent further scratching. for slightly scratched CD, just warm the CD.Hold the CD in your forefinger by inserting finger in the hole and face the recorded area towards 60W table lamp at a distance of 10cm approx. and rotate it for about 30 second and play the CD while it is still warm and burn a new CD. 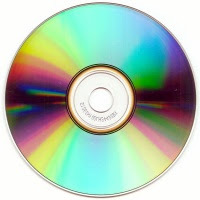 Polish the CD with toothpaste (note: Paste not gel) and let it dry.polish many times and wipe it with smooth clothes radially and then clean it in warm water.focus solely on located scratches.Remember rubbing in circular motion may cause new scratches.always wipe in radial direction. However sometimes scratches are deep and beyond repair so its better to keep backup before your CD starts ageing. I would like to know any other method that someone has found out.Please share it for the benefit of all.